I’m pretty sure most of us have turned to Google to search for info on our favorite celebrity at one point or another. It is easy to look for some of the most commonly-asked questions on the search platform but wouldn’t it be great if these celebrities themselves could answer our queries? 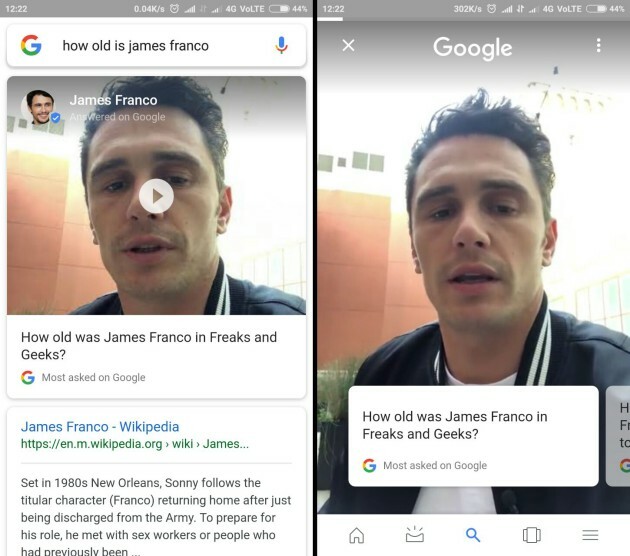 Well, thanks to Google’s new feature, you will now see selfie-style videos of some of the most renowned celebrities answering some of the most-searched questions in your mobile search results. Going forward, whenever you search for your favorite celebrities (be it a popular actor, an up-and-coming musical artist or a retired football player), you’ll be greeted with a surprise in the form of a few Snapchat-style video stories amidst the search results. It is not absolutely necessary that the video answers will appear at the top and may require you to scroll down a little. 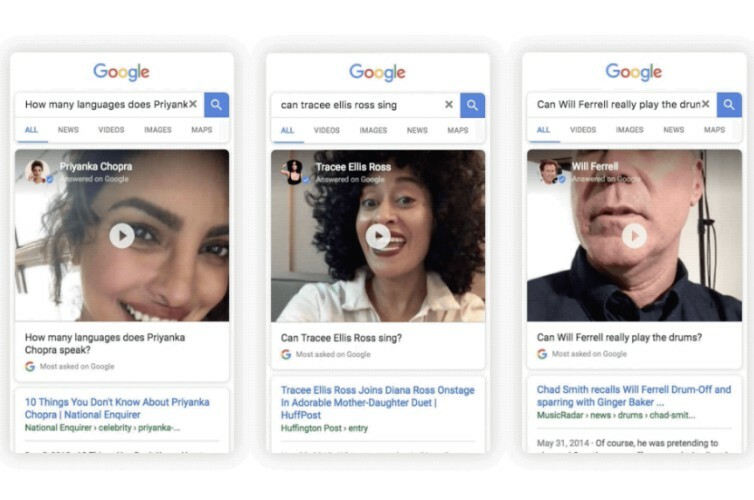 Google has launched the ‘selfie-shot’ video format only on mobile search results, meaning you can check out celebrity answers via both the official Google app or the Google website in your browser. The celebrities who’ve signed up to use this feature include a bunch of big-time names such as Priyanka Chopra, Tracee Ellis Ross, Gina Rodriguez, Will Ferrell, Kenan Thompson, Allison Williams, Nick Jonas, Mark Wahlberg, James Franco, Seth MacFarlane, Dominique Ansel, and Jonathan Yeo. This is just a sneak peek of the massive repository of video answers that will eventually be made available on Google Search when more celebrities sign up for answering most-asked questions by themselves. This not only makes searching for celebrity facts a fun experience but also gives Google a massive edge over its competitors such as Bing or Yahoo. It is thanks to Snapchat that the Stories format is rapidly gaining acceptance across the board on the Internet. This, however, has to be the first innovative implementation of the feature outside a social landscape and it makes the search results quite interactive. Do you think the same? Which celebrity would you like to answer your questions in the Search results? Let us know in the comments down below.